Secure online sign up. Pay securely with PayPal. 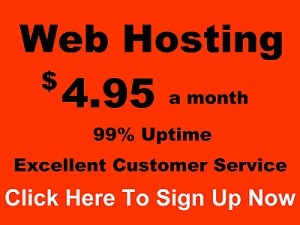 Below are paypal buttons to sign up for MyWebHost.com best selling web hosting plans. The cost for domain name registrations and/or renewals for add-on domain names is $18.99 a year per name, per year for .com domain names. Due to increased costs, Registration of domain names through MyWebHost.com no longer includes WHOIS privacy. WHOIS privacy hides your contact information from showing up in the public database for domain names. If you would like WHOIS privacy enabled, annoying marketers and spammers will have to work harder to get hold of you. The fee for WHOIS privacy is $5.00 per domain name per year. ICANN requires that a domain name holder will be prohibited from changing its Registrar during the first 60 days after initial registration of the domain name with the Registrar.